My Sharpbuilt Shroud is old and tired, and cracked, and burned, and ugly. It cools very well–probably over cools a bit. I have spoken to Mike Sharp in AU, and have ordered a new fiberglass replacement shroud–I will reuse the same hardware. See? Lots of cracks and it’s been repainted (poorly). I just got my package from Sharpbuilt today with the new shroud in fiberglass. The exchange rate with Sharpbuilt is very good nowadays (they are in Australia) so I got the shroud and side skirts, delivered, for about $380. I thought these pictures would be helpful for people about to undertake the install, because there are very few high-resolution pictures showing what actually shows up in the box. Now, keep in mind, I didn’t get the full kit, I will be renovating my original kit so keeping the existing generator stand and crank pulley. 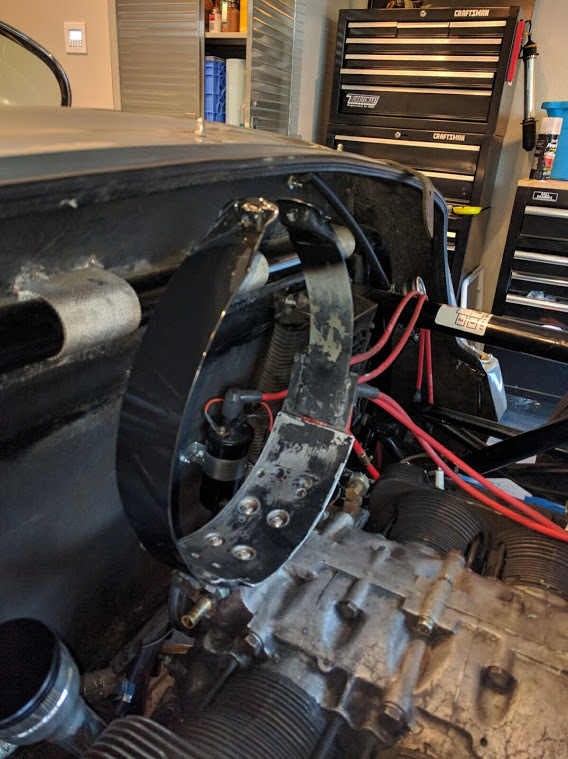 I will keep this post updated as I progress through the installation of the Sharpbuilt shroud. Updates! New Shroud Is In the Car! Lot’s of learning here. Installing or replacing one of these Sharpbuilt Shrouds, you need to be a real multi-disciplinarian. You need to do some electrical work (for generator connections), paint and prep, mechanical stuff obviously, but there are gaskets as well as trimming to be done.